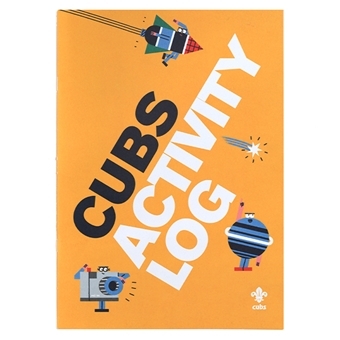 A fun logbook for Cub Scouts to record their achievements and adventures in the section. The Cub Log book has been updated in response to members feedback from the recent Your Programme, Your Voice survey. Helps new Cubs to remember the Cub Scout Promise, badges that can be achieved and even the Scout handshake! Get this essential companion for Cubs explaining what they are and all the exciting things Cubs can achieve!